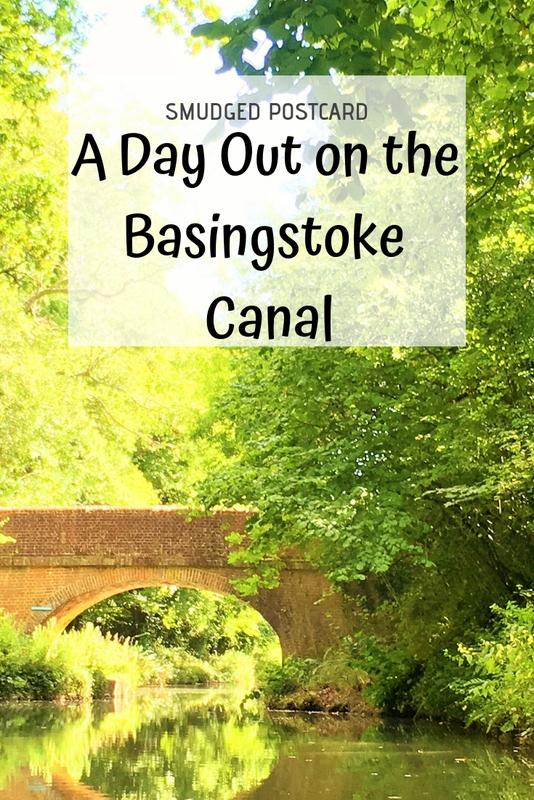 Being stuck in a confined space with your family, in a waterway named after the town of Basingstoke, with a mediocre weather forecast isn’t everyone’s idea of a good day out. 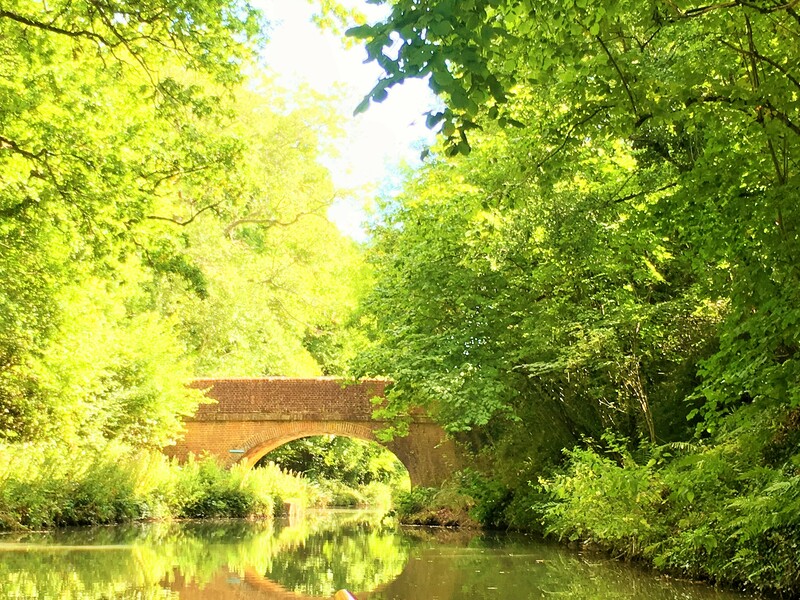 Nevertheless, my extended family agreed to my suggestion of hiring a day boat on the Basingstoke Canal to celebrate my mum’s birthday. Despite a mishap with our rudder and a crayfish net, I couldn’t recommend this enforced family time more highly. “Juniper” day boat hired from Galleon Marine. 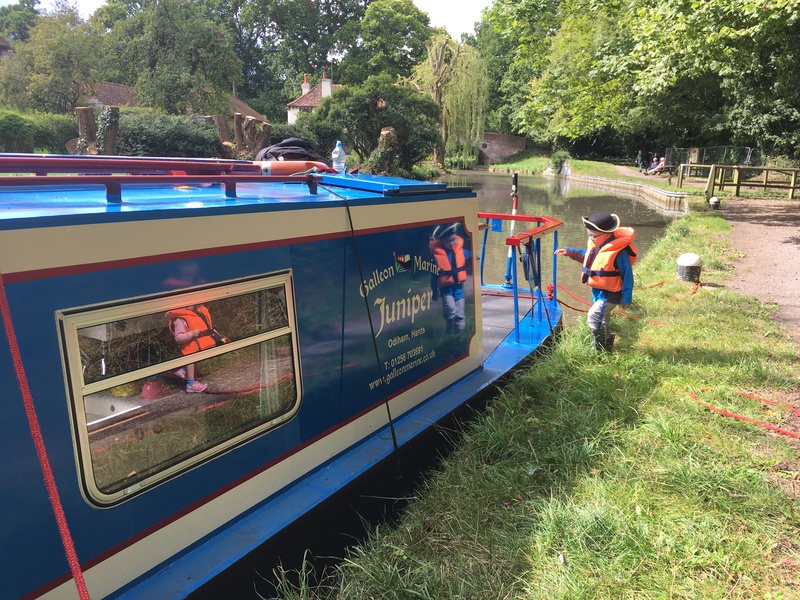 We hired our narrow boat, Juniper, from Galleon Marine in the Hampshire village of Odiham near Basingstoke. From tea bags to toilet paper, the boat was really well equipped with everything you might need for a day messing about on the canal. There was even an umbrella holder on the tiller to shelter the captain should the weather become inclement. In these days of rushing around by plane, train, car or even on foot, trying to cram as much into a day as possible, there’s something quite liberating about being forced to travel at a speed no faster than a moderate walking pace. 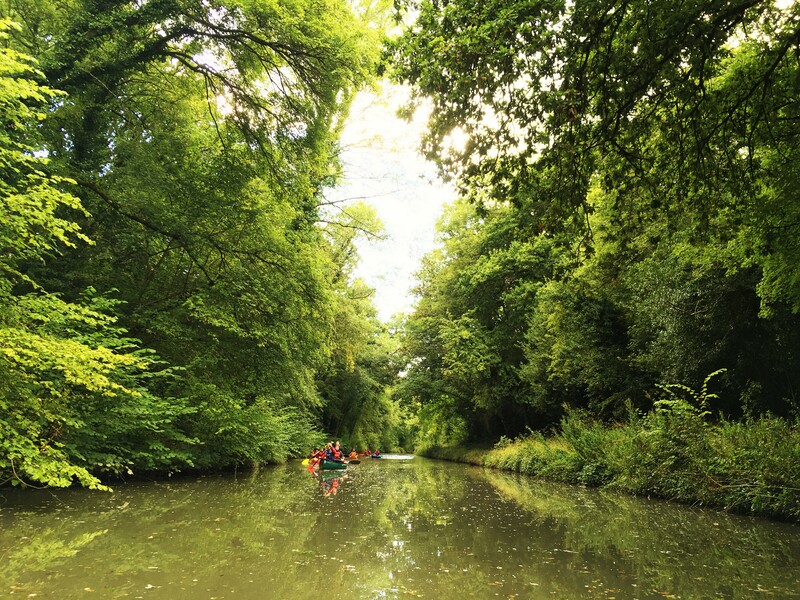 On a narrow boat, you have the opportunity to really concentrate on your surroundings: the intense shades of green, the contrast of the trees against the sky and that magical fleeting glimpse of a kingfisher as it darts across the water. The children (aged 6, 4 and 3) seemed just as captivated by the experience as the adults which was lucky as I hadn’t thought to bring anything more diverting than a pirate hat for my 3 year old. 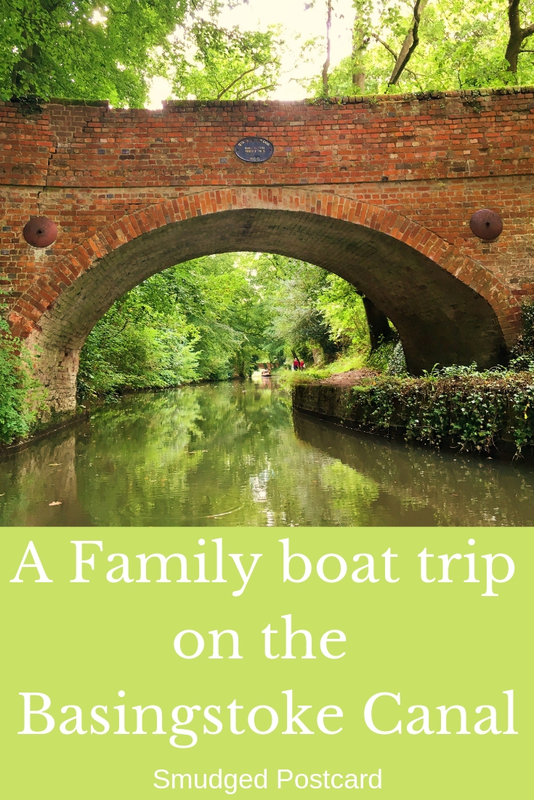 We paid for 5 hours of boat hire which allowed us time to travel as far as the Barley Mow bridge near the village of Dogmersfield (a whopping 3 miles), have a picnic and then return back to base. 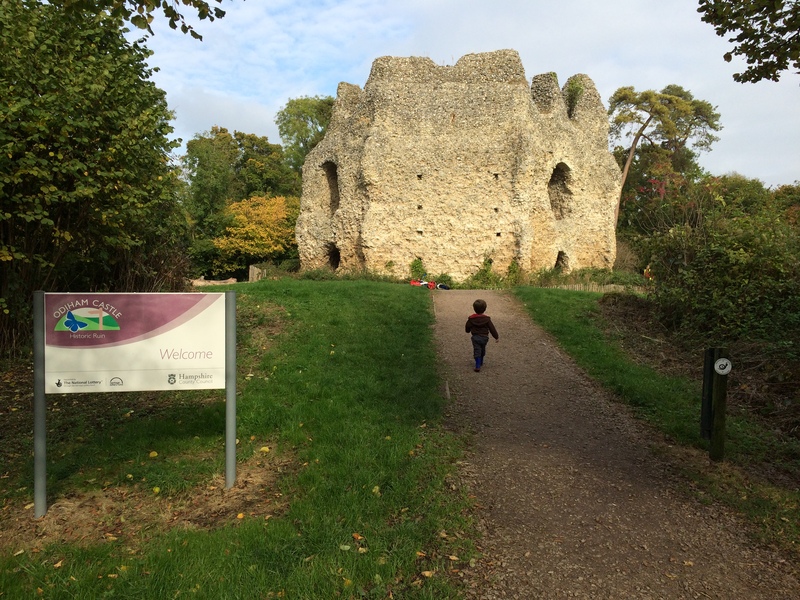 If you only have 3 hours to spare, in the other direction is the ruin of 13th century King John’s Castle (also known as Odiham castle), the perfect place for children to channel their inner warrior. Steering a narrow boat along a canal is pretty straight forward once you’ve had a quick lesson; your maximum speed should be no more than 4mph. There are no breaks, instead you put the boat into reverse. A canal is generally much narrower and shallower than a river, if you fall in you simply stand up rather than try to swim. 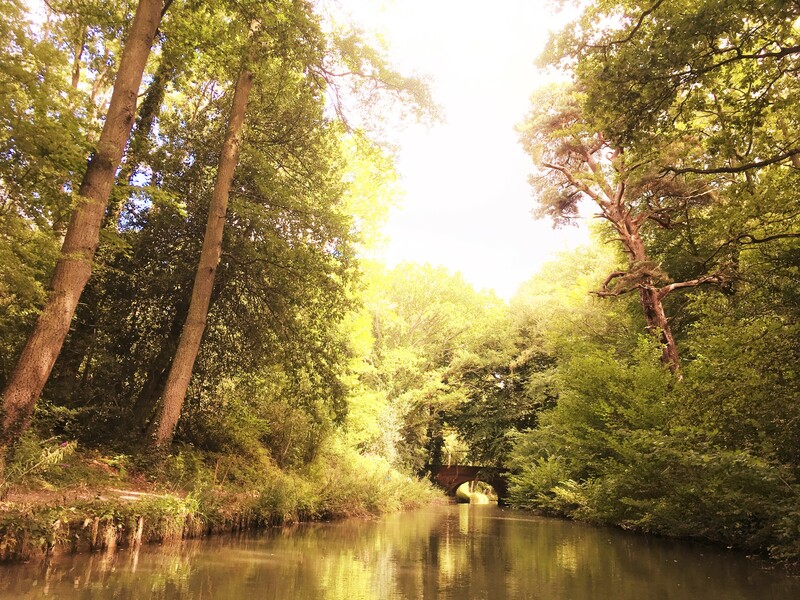 The Basingstoke Canal is a popular waterway for all manner of boats. 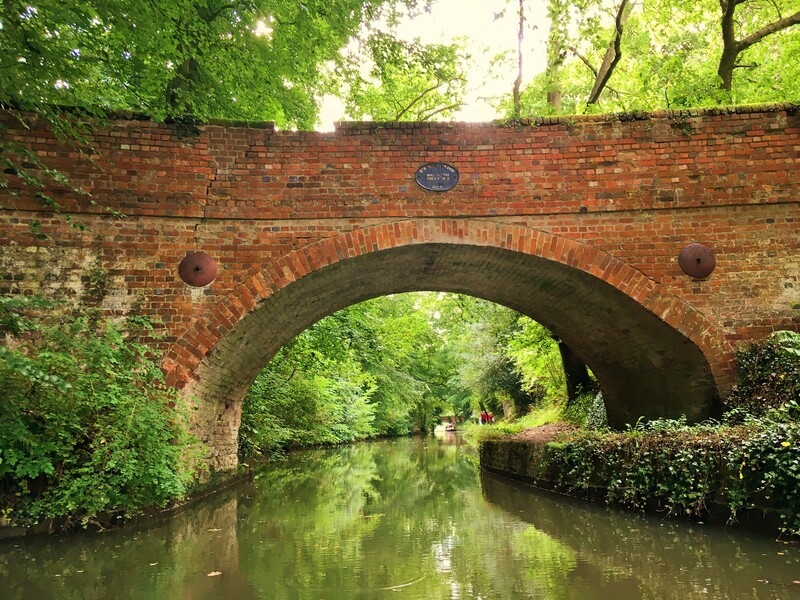 Canals were built to transport goods during the Industrial Revolution and the narrow boats were drawn by horse prior to motorised transport hence the “towpath”. 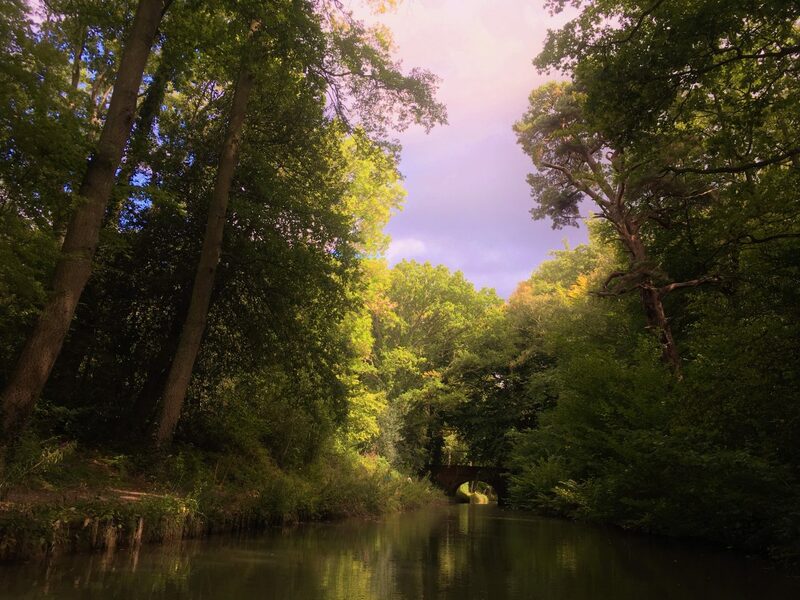 The Basingstoke Canal was completed in 1794 and carried timber and coal to London, the canal is linked to the River Thames via the River Wey. 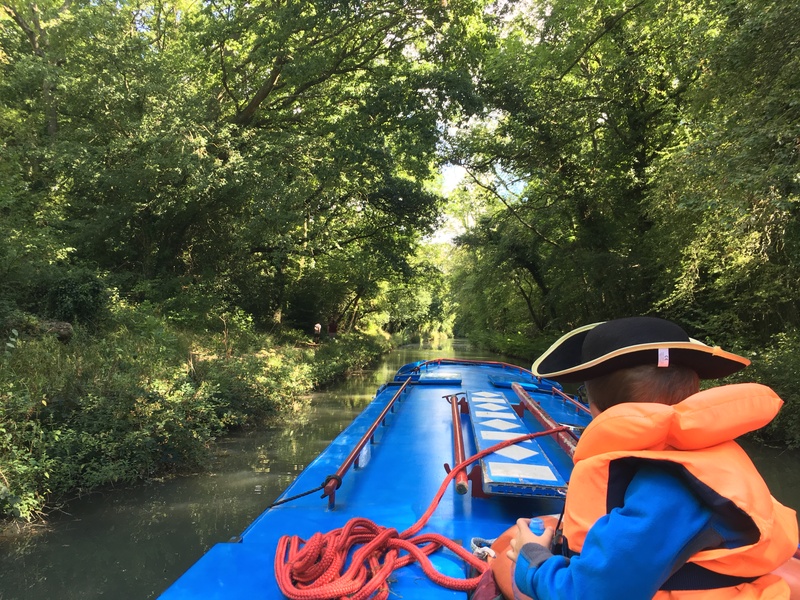 Today, there is a network of some 2,200 miles of canals and rivers in the UK so if you have plenty of time (think months) you could feasibly travel by boat from Basingstoke in the south of England to Kendal in the north. If you only have a few days or a week to spare, the Telegraph has some good suggestions for this slower paced style of holidaying. If you’re after a wet weather attraction near to Odiham and the Basingstoke Canal, I can highly recommend a trip to Milestone’s Museum in Basingstoke. Driving in the UK? Check out my post about the best family-friendly places to stop just off the motorway, including picnic spots, country parks and castles. I love the idea of just floating along, ever so slowly. And I’m reassured to read that the canals are mostly shallow enough to stand up in. The fear of a child falling in is what might put me off this sort of holiday – but it sounds as though they’d be just fine. Hope you get to do it! The boating company we used was really great. I’d highly recommend them and the boat was modern and comfortable. Definitely give it a try! Ahh, that’s so lovely to hear. I also used to walk along it a lot as a kid, I grew up in Fleet. It really is incredibly beautiful and serene, hope you get to go back there one day. Wow, that looks like fun. Those colours, how dreamy! Yes, it took me slightly by surprise how we all just sat gazing at the view for so long! I’d love to take the kids on a longer trip, staying on a boat would be so much fun! Yes, it’s important for all of us to slow down sometimes! Yes, day trips are a great idea if you just want to test the water, so to speak! I really want to do one of these canal boats. I am thinking of doing it in the Norfolk Broads. Glad to hear you enjoyed your boat time. Thanks for sharing on #TheWeeklyPostcard. The Norfolk Broads is lovely, very peaceful and relaxing. And if you had more time, the north Norfolk coast is great too, amazing beaches if the weather is good! A day trip was definitely enough for our group of 6 adults and 3 kids but I’d love to do a longer trip with just my immediate family. One day is a lovely way to enjoy extended family time, a nice alternative to going out to lunch in a restaurant for example! I’ve always like the idea of the romance of the narrow boats but thought not knowing how to steer let alone drive one would be an issue. You have now put my mind at ease. Definitely not a problem, you just need to keep a look out for other boats! 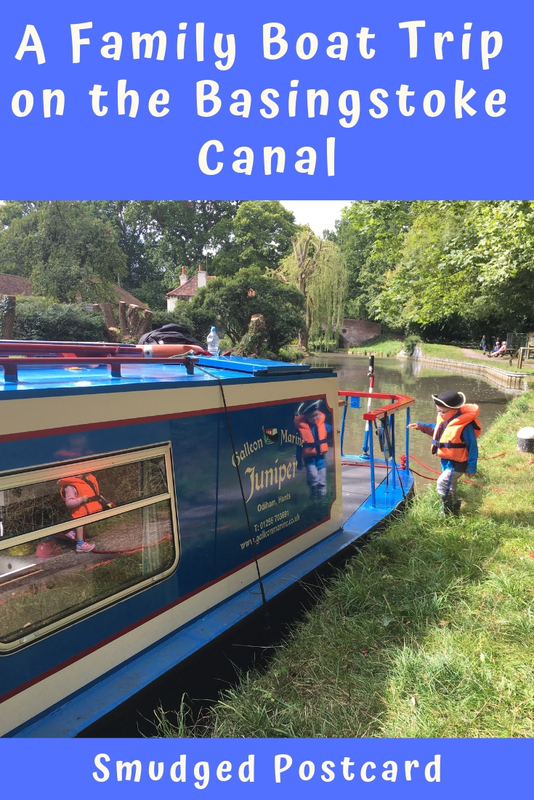 A canal cruise seems like such a relaxing way to travel! I knew they went slow, but didn’t know it was that slow! Still, why hurry with pretty countryside to admire! 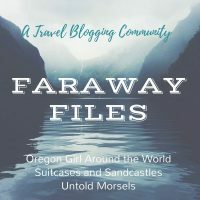 This trip sounds great; we’ll have to look into it! Thanks for sharing with #TheWeeklyPostcard! It seemed incredibly slow when we started but it’s amazing how quickly you get used to it! Slow travel is good and we need it once in a while so that we can relax, observe and enjoy the surroundings. Glad that your kids had fun as much as the adults 🙂 Love your pics! Thanks! It’s a brilliant trip for a multi generation day out. We’ll definitely do something similar next year I hope! We’ve done day boats trips with our boys twice now, once when the little’un was only 2, they love it! Thanks. I’ve just booked up a bat cruise on our local river for half term, can’t wait! This just sounds idyllic! We spent a long weekend last June camping and messing about in boats, and the slower pace really suited the entire family. Gorgeous photos too! Thanks. I think I’d like to spend a bit longer on the water next time! 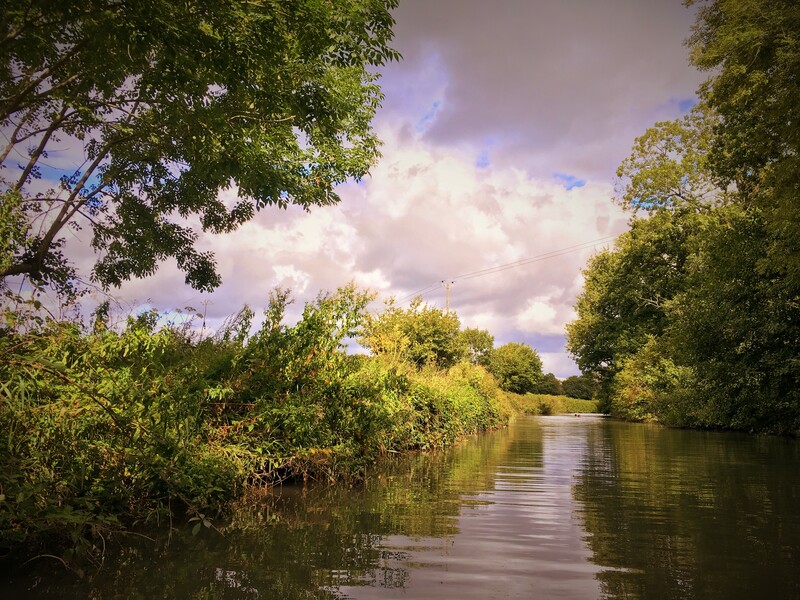 I’ve really fancied a trip on a canal boat for a little while now (and not just because I’ve heard there are lots of pubs to travel between haha). I honestly think our kids would love it. Thanks for joining #adventurecalling we’ll be back open in the morning for more new posts. We’re doing a bat safari this month on our local river, will let you know how that goes!